Ah yes, the intelligence that is associated with emotion in these two words that have crept into almost every area of the training, tutoring, self-development and personal growth industries during the last twenty years. 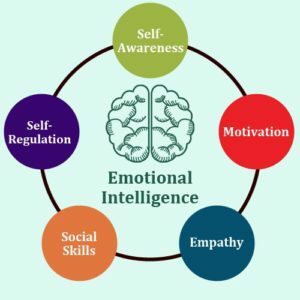 Emotional intelligence infers that when you are emotional you are more intelligent! But when we take a moment to reflect we may notice that any time we are emotional we are not capable of being very intelligent! That’s because emotion is an ‘agitation within consciousness.’ And when we are agitated we cannot think very clearly. But more importantly we stop being able to hear the wisdom of our heart, sometimes referred to as our intuition. That’s the inner resource of a deeper ‘knowingness’ that we need to draw on if we are to make intelligent decisions, create intelligent responses and interact with intelligent behavior. All are impossible during any emotional moments. Emotional intelligence is yet another oxymoron. It’s not possible to control emotion. When emotion arises it is in control of you! All we can do is learn to notice it and not be ruled by it. All we can do is lessen its life span by adopting practices like meditation in which we learn to step back from our emotions as and when they flare. Eventually it is possible to stop creating emotion in the first place. And when that happens then we remain calm and fully attentive, loving and fully available, compassionate and contented, joyous and fully present.